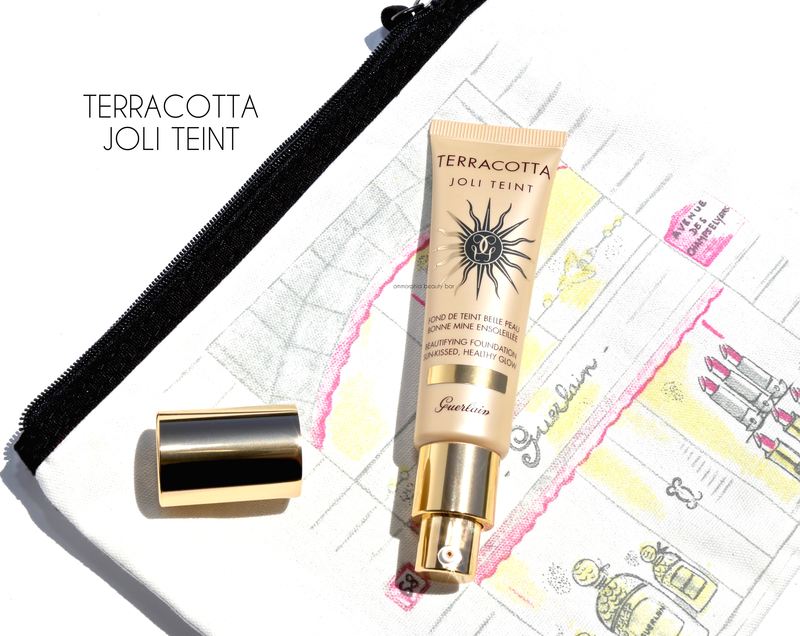 Terracotta Joli Teint (CAN $64.00/each) | In essence, this is a cross between a foundation and a bronzing cream — with a good helping of moisturizing benefits thrown in, just because. Available in 4 shades, the pump dispenser is easy to use and depending on how much pressure you apply, it will determine whether you pump out a bit or a lot. The product emitted is like a rich cream and quite colour-saturated, so a little really does go a long way and even sheered out, provides good & even coverage. You can always apply a touch more in areas that need it, and I suggest working with a dampened sponge for the most natural finish. 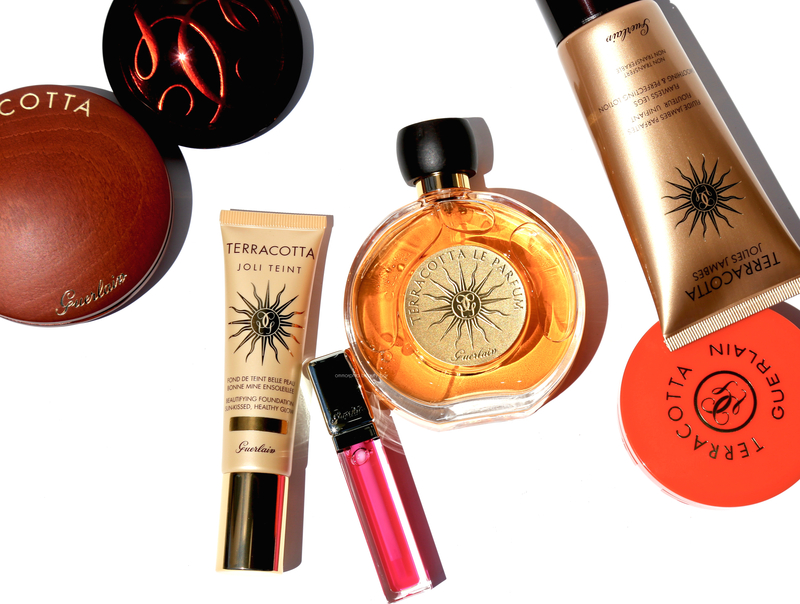 Bearing the brand’s signature Terracotta Tiaré Flower fragrance (that I absolutely die for), this is not only perfect for maintaining that sun-kissed glow you’ve worked hard on all Summer, but will work beautifully to brighten Winter-pale skin as well. 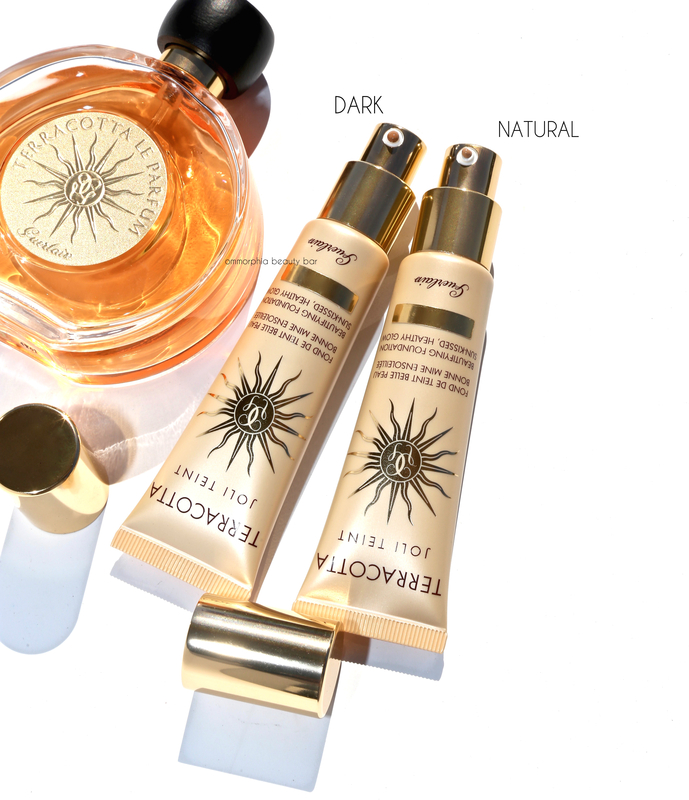 Non-oxidizing, staying power is great and looks amazing on skin throughout the wearing. 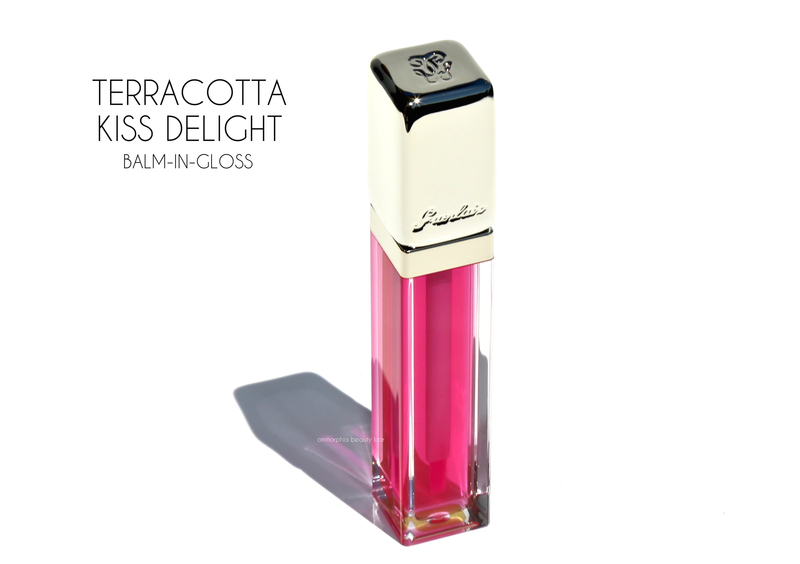 Terracotta Kiss Delight Balm-In-Gloss Grenadine Syrup (CAN $40.00) | This plush gloss comes housed in a transparent rectangular casing with a small brush applicator and bears a buttery/honey fragrance (seriously delish). The formula contains hyaluronic acid and plenty of moisturizers for the ultimate in nourishing lip feel, with eosin added in that enhances your natural lip colour. Non-sticky, this rich gloss may even have a slight plumping effect; either that or the formula does an excellent job of filling in lip lines to create the illusion of fuller lips, and all of this coming to a brilliant glossy finish. 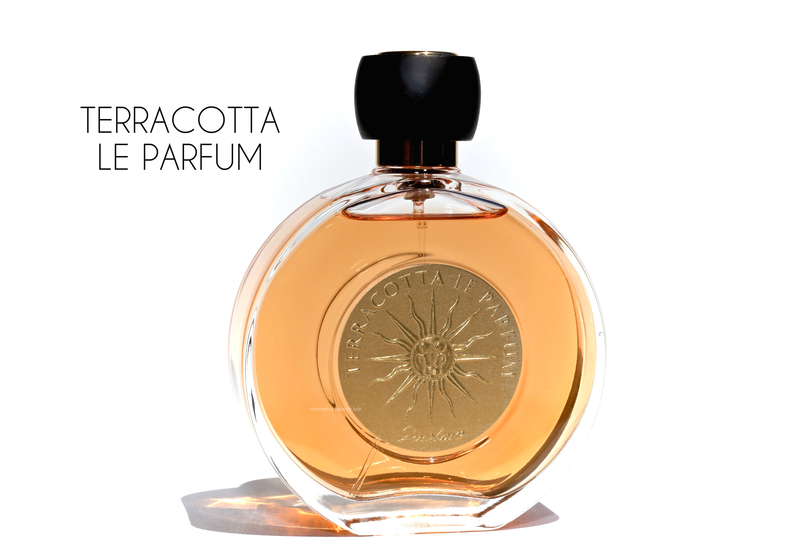 Terracotta Le Parfum, Eau de Toilette (CAN $92.00/100 ml) | First launched in 2014 to celebrate the 30th anniversary of the brand’s iconic powder, master perfumer Thierry Wasser created this fragrance with what must surely be sorcery, managing to perfectly capture the exotic essence of Terracotta. 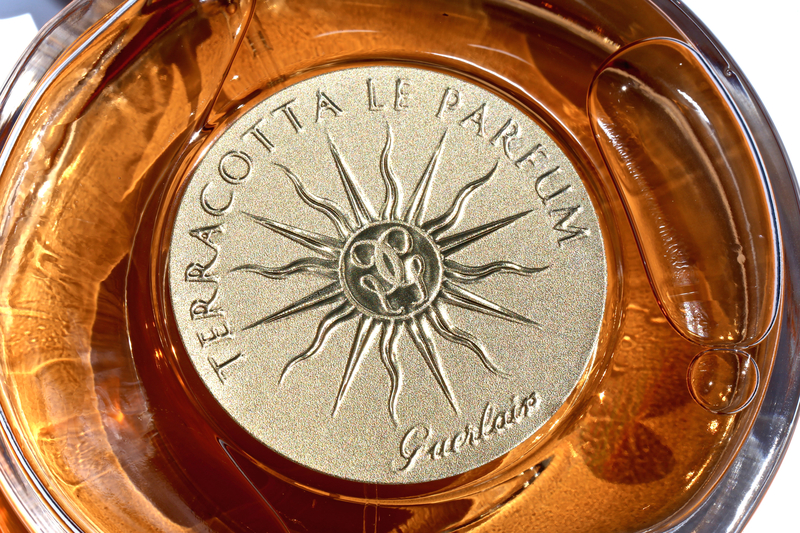 By the way, the original release was limited edition and sold out faster than you could blink — but Guerlain listened to its consumers, bringing this treasure back for good. 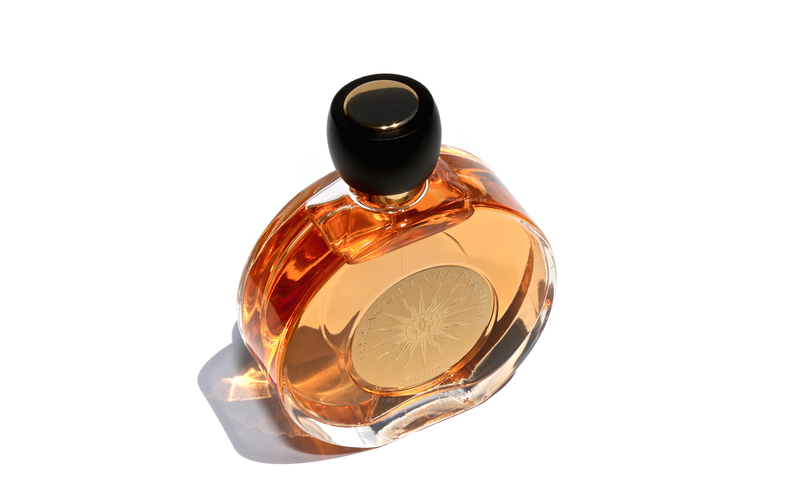 With a scent that’s evocative of sun-soaked destinations, it opens up with the captivatingly fresh note of Bergamot then begins to unfurl a heart of Tiaré Flower and Ylang Ylang, finally ending with a sensual Vanilla dry down that comes across as more beachy, than boozy. I cannot express in words how much I adore this fragrance; the fact that I’ve gone through multiple bottles, speaks for itself. 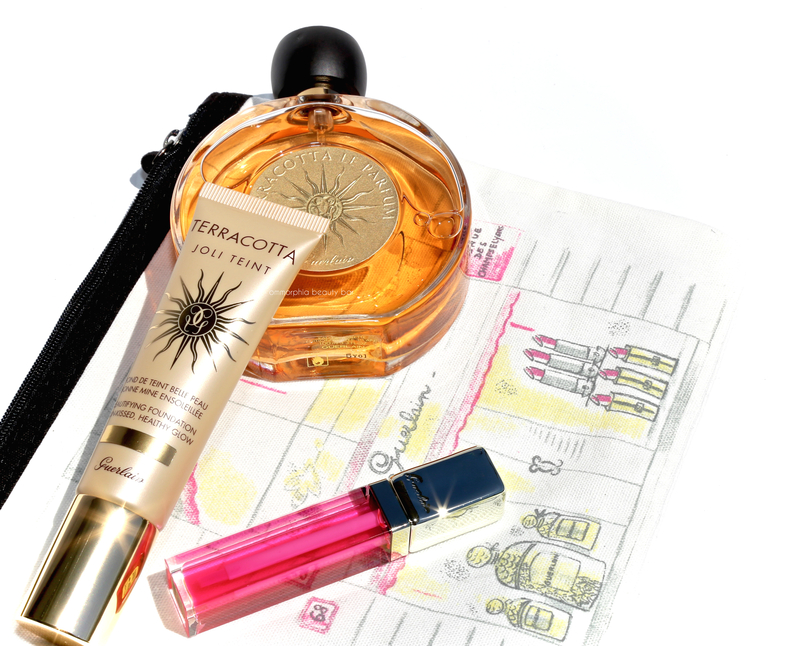 What I do know, is that one spritz is all it takes to instantly transported me to a faraway land filled with swaying palm trees, redolent breezes, hot sands, and a rolling surf. Oh, and let’s not even begin to count the many compliments I receive when wearing this — every.single.time. I guess you can consider this post a love letter to Terracotta. 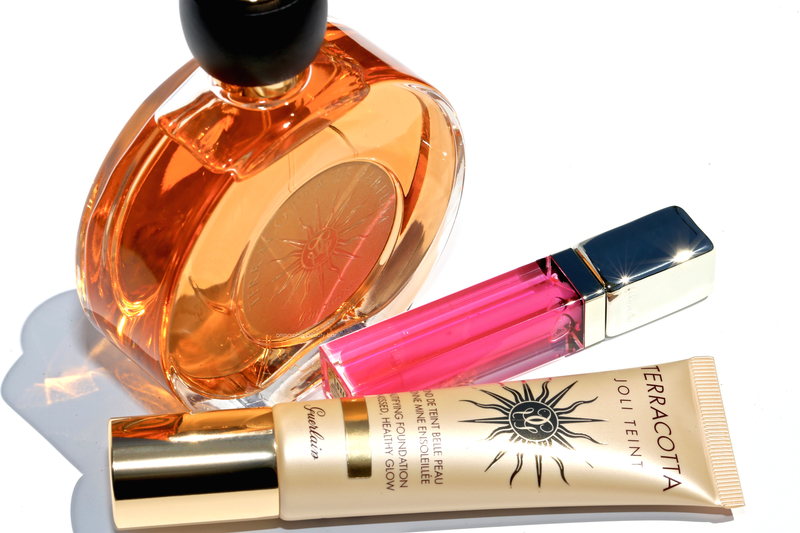 I mean, let’s face it; a foundation that will give you Goddess sun kissed skin coupled with über-glossy lips to match, and a bespoke fragrance that will have people leaning in just to capture the slightest hint — that languid, easy Summertime feel is what these pieces are all about, and that suits me just fine.